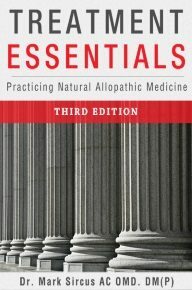 Dr. Sircus’s practical teaching manual for how to use his natural allopathic medicine protocol including dosages and treatment methods. The core of the protocol presented in Treatment Essentials redefines the way emergency room and intensive care and even hospice care should be practiced with a profile of highly proven fast-acting and safe, concentrated, injectable, nutritional medicines. At home these same medicinals taken orally or used transdermally (topically) will save the day when all else fails. There is something in this book for everyone. The poor people in the third world and the rich and powerful with unlimited funds to throw at their disease, doctors and healthcare practitioners of all stripes will find at least one key answer that will fit into their present framework of practice. What Is This Protocol Useful For?